The Guitar Column: 1959 Gibson ES335 on eBay | Mike Landau Owned! 1959 Gibson ES335 on eBay | Mike Landau Owned! 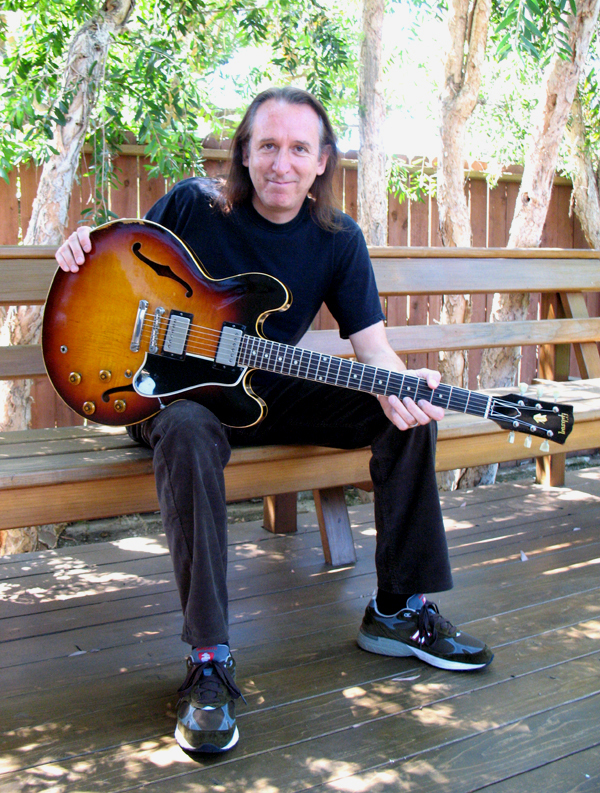 Here's an eBay listing for a 1959 Gibson ES335 dot-neck owned by Mike Landau! "I've had the pleasure of owning this fine guitar for about 17 years now. I bought the 335 at Rudy's in New York while on tour with James Taylor, I think is was around '92 or '93. Its an amazing playing AND amazing sounding instrument, plus its definitely got the look. I used it on many sessions over the years, funny enough, I used it on a lot of Nashville artists some years back, including a couple solo's on Tim McGraw and also on his lovely wife Faith Hill." "The guitar is all original except for an expert refret by Jim Tyler when I first got the guitar. I have the original tuners as well (I put new ones on when Jim refreted it) sadly its time to part with it now, I just don't play it that much anymore, I hope it find's a good home - Its a very juicy guitar!" The original Patent Applied For pickups, with the black PAF stickers still attached on the underside, measure 8.56K ohms for the front pickup and 8.52K ohms on the bridge. The 50-year old Alnico magnets would probably also have mellowed very nicely. The seller, LA Vintage Gear has listed several Mike Landau owned pieces on eBay in the past and are currently also listing Mike's custom Matchless Chieftain 2 x 12 which you can check out here.